Get your feet wet on Water Street! Join us for a foodie, community, arts, music and crafts celebration the last Friday of each month in historic downtown Henderson. 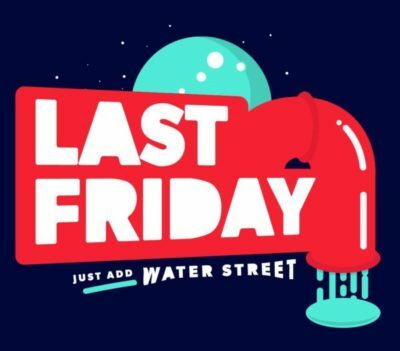 Last Friday, Just Add Water Street takes place 6 pm-10 pm in the Water Street District at the Henderson Events Plaza, 200 S. Water St.
Each event encompasses all aspects of the emerging arts, culinary and performing arts and benefits local charities.